I must mention – I am not of those kind of sound designers, who can not quite decide what to do in which situation. For the good and for the bad, I tend to take quick decisions in pretty much all aspects of my work, especially when it comes down to the sound production. It wasn’t the case this time. But today I am pleased to inform you all, that after some weeks of break from this painful birth process I finally realized what was really needed for this album to sound the right – or in this case – so-wrong-it-is-right way. So I put that one missing piece in place, totally changed every single bit of what I initially had for mastering and the resulting product sounds drastically different but finally satisfying. 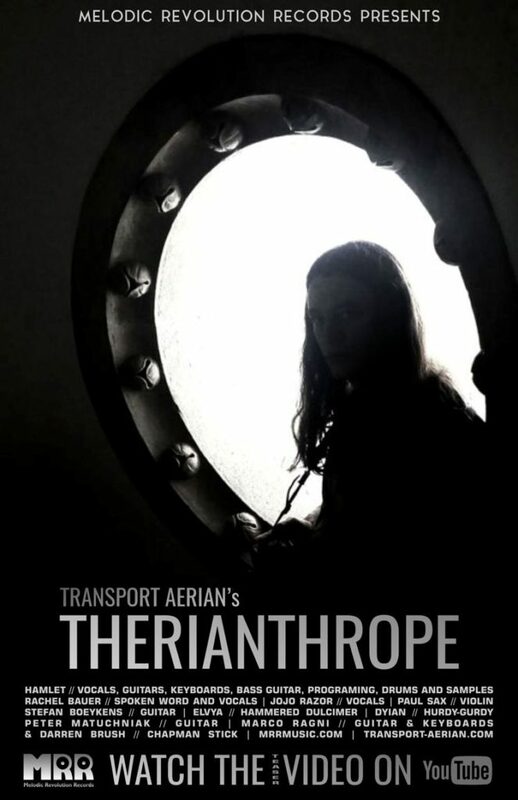 The bliss and the struggle of Therianthrope was that unlike most of other studio efforts I had been involved in, it has a significant share of acoustic instruments and an incredibly wide dynamic range – both things that I scarcely work with in context of my own music. It wasn’t possible to spare the atmosphere and the spirit of the album with any radical mastering tools or techniques applied. So in the final version, I got to perform a with very gentle mastering, barely touching the initial mixes at all, correcting most of the peaks manually and by hearing rather than relying on smart compressors, with no saturators, multi-bands, maximizers and other coloring tools applied at all and with only the most obvious flaws of initial recording corrected. Now, when the music burden is finally off my shoulders, I am focusing on visuals and pre-release routine. Promotional photoshoots and a couple of design sessions with Rachel Bauer and Jess Telmatt are scheduled for the upcoming weeks, as we need to sit and accumulate some ideas, discuss how to expand the musical ideas with appropriate visuals and the discussion with Melodic Revolution Records regarding the release date and other details that would move the album from the table blueprint to its physical shape is due. It feels almost as a pleasure after so many months of painful – and really unusual for me – trial and error search process.